Heidar Moslehi Minister of Information: People collaborate with agents of Ministry ! Heidar Moslehi Minister of Information in the city of Mashhad among reporters said: People collaborate with the agents of the Ministry and parents must take care of their children more and parents who have children with mental problems must control and supervise them more not to cause any problem for citizens. Apparently on one of the holy nights of Ramadan, A person throw Molotov Cocktail on to Eight Imam Holy shrine, which came to the ministers attention and the minister on speaking with reporters called that person a mentally sick person. The Minister also asked people if they see any suspicious things to call hotline 113 ( Center for Information of the Country). Said Matinpour a civil rights activist met family after Assault by 150 prison guard ! When last Thursday 150 prison guards attacked on Said Matinpour an Azari Civil Rights activist in ward 350 at Evin prison ,the prison official sent him and some other prisoners to solitary confinement ward 240 as punishment. This act of prison official angered six of their cellmates but in protest and for their return to general ward , the six cellmate went on hunger strike for four days until the official returned all the prisoners from solitary confinement and Mr. Matinpour was able to meet family in the prison. 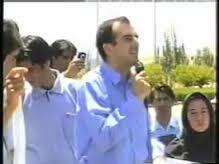 Said Matinpour is sentenced to eight years imprisonment and currently is in ward 350 of Evin prison. GENEVA (10 July 2013) – The United Nations Special Rapporteur on the situation of human rights in the Islamic Republic of Iran, Ahmed Shaheed, will undertake a fact-finding mission to the United States of America and Canada from 14 to 28 July 2013, to gather information about alleged human rights violations in Iran. 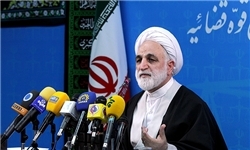 During his 14-day mission, the independent expert will meet with members of the Iranian diaspora, particularly victims and witnesses of alleged human rights violations and as well as with civil society organizations to gather information about the numerous allegations of human rights violations in Iran. The result of these findings will be reflected in his report to the General Assembly in October 2013. Mr. Shaheed reiterated his commitment to a constructive dialogue and cooperation as a means of addressing and resolving human rights concerns in the country, and encouraged Iranian authorities to cooperate with his mandate and the UN human rights machinery. The Special Rapporteur expressed hope that there will be new opportunities for dialogue with the new administration of President-elect Hasan Rohani, and reiterated his continued interest to visit Iran. Since his appointment in August 2011, the human rights expert has made several official requests to the Government of Iran for a country visit without obtaining an affirmative response. At the end of his visit, on Friday 26 July, the UN Special Rapporteur will hold a press conference in Toronto. Further details to follow. 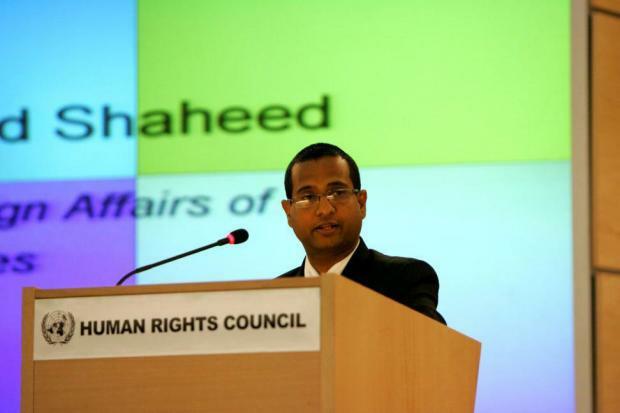 Ahmed Shaheed (the Maldives) is a Visiting Lecturer at the Maldives National University, a member of the presidential Commission Investigating Corruption and a former foreign policy advisor to the President of the Maldives. Mr Shaheed was Foreign Minister of the Maldives from 2005 to 2007 and from 2008 to 2010. He led the country’s efforts to sign and ratify all nine international human rights Conventions and to implement them in law and practice. He was appointed as the Special Rapporteur on the situation of human rights in Iran in June 2011 by the UN Human Rights Council. As Special Rapporteur, he is independent from any government or organization and serves in his individual capacity. You are invited to attend a press conference of Dr. Ahmed Shaheed UN reporter on Iran at 2:00 PM July 26 in 300 Jarvis Street -Ramada Plaza Hotel. And You are also welcome to attend an event Dr. Ahmed Shaheed speaking on Iran at 6:00-7:30 PM July 26 in Munk School of Global Studies in Toronto University . 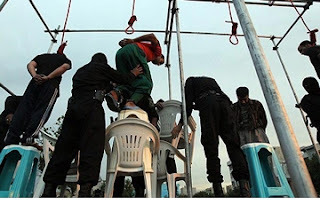 (Beirut, July 26, 2013) – Iran’s judiciary should stop the executions of four members of Iran’s Ahwazi Arab minority because of grave violations of due process, Amnesty International, the Iran Human Rights Documentation Center, and Human Rights Watch said today. The judiciary should order a new trial according to international fair trial standards in which the death penalty is not an option. Family members and Ahwazi Arab rights activists have told human rights groups that the detainees contacted their families on July 16, 2013 and said they feared that authorities were planning to carry out the execution orders any day now. According to information gathered by the rights groups, authorities kept the defendants, including three others who have received unfair prison sentences, in incommunicado pretrial detention for months. The authorities denied them access to a lawyer and harassed and detained their family members. The trial suffered from procedural irregularities and the convictions were based on “confessions” that defendants said had been obtained by torture. There is no record the trial court investigated their torture allegations. 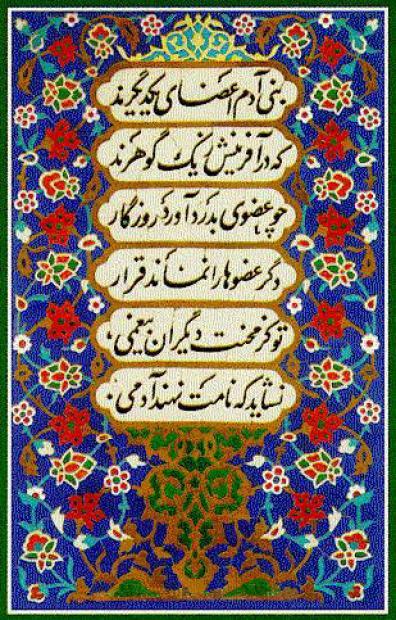 The court sentenced Ghazi Abbasi, Abdul-Reza Amir-Khanafereh, Abdul-Amir Mojaddami, and Jasim Moghaddam Payam to death for the vaguely-defined “crimes” of moharebeh (“enmity against God”) and ifsad fil-arz (“corruption on earth”). These charges related to a series of shootings that allegedly led to the death of a police officer and a soldier. The court sentenced three other defendants – Shahab Abbasi, Sami Jadmavinejad, and Hadi Albokhanfarnejad – to three years in prison in the northwestern city of Ardebil for lower-level involvement in the shootings. The lower court issued its judgment a week after a trial that lasted approximately two hours, said letters to Ahwazi Arab rights groups allegedly written by the defendants. Security and intelligence forces have targeted Arab activists since April 2005 after reports that Iran’s government planned to disperse Ahwazi Arabs from the area and to attempt to make them lose their identity as Ahwazi Arabs. The Iranian authorities have executed dozens of people since the disputed 2009 presidential election, many of them from ethnic minorities, for alleged ties to armed or “terrorist” groups. 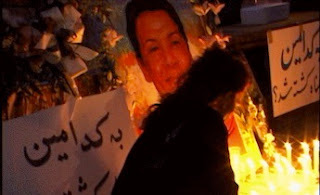 Following unrest in Khuzestan in April 2011, the human rights groups received unconfirmed reports of up to nine executions of members of the Arab minority. In June 2012, a further four were executed and reports suggest that five were executed in April 2013. 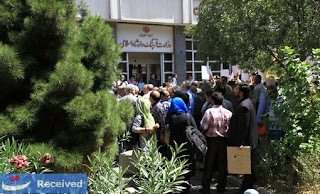 Branch 1 of the Revolutionary Court of Ahvaz, the capital of Khuzestan province, issued the sentences on August 15, 2012. 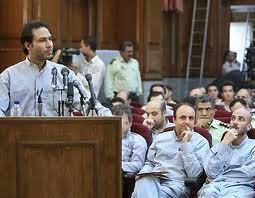 Branch 32 of Iran’s Supreme Court affirmed the sentences in February 2013. Revolutionary courts are authorized to try cases classified by the judiciary as pertinent to political and national security matters. Their trials take place behind closed doors, and revolutionary court prosecutors and judges are allowed, under longstanding legislation, extraordinary, discretionary powers, especially during the pretrial investigation phase, to limit or effectively prevent the involvement of defense lawyers. None of the defendants had a prior criminal record, the judgment says. All seven are residents of Shadegan (also known as Fallahiya in Arabic), approximately 100 kilometers south of Ahvaz. In several of the letters, the writers said that security and intelligence forces had held the seven men in incommunicado detention for months, subjected them and their family members to detention and ill-treatment to secure “confessions”, and tried them simultaneously in one session that lasted less than two hours. The letters said that none of the six lawyers present had an opportunity to present an adequate defense of their clients. In one letter, the defendant alleges that despite the lack of evidence, intelligence agents pressed the revolutionary court to convict the men of moharebeh and ifsad fel-arz and to sentence them to death. In another letter, the defendants allege that none were questioned during pretrial interrogations about the supposed armed group – Kita’eb Al-Ahrar to which authorities say they belong, even though their alleged membership was used by the judiciary as the basis for their death sentences. In a defense pleading criticizing the lower court’s ruling, a copy of which the rights groups reviewed, one of the lawyers criticizes the lower court’s ruling on several grounds, including the court’s failure to look into the defendants’ allegations that their “confessions” were extracted under torture. The rights groups could not independently verify the authenticity of the letters or the defense pleading. A former detainee who spoke to the human rights groups on condition of anonymity said that for about two weeks in 2011 he was in the same ward of Karun prison as the four men sentenced to death. He said that both Amir-Khanafereh and Ghazi Abbasi told him that during their time at the Intelligence Ministry detention facility in Ahvaz agents blindfolded them, strapped them to a bed on their stomachs, and beat them with cables on their backs and feet to get them to confess to using firearms. The source also said that he observed black marks around the legs and ankles of Amir-Khanafereh and Abbasi, and that the two said the marks were caused by an electric shock device used at the Intelligence Ministry detention facility. The source said he had seen similar black marks on the legs of other Arab activists during his time in Karun prison. The former detainee said that Amir-Khanafereh and Abbasi told him that they were not allowed any visits and were held incommunicado by Intelligence Ministry officials for months. The judgment, which primarily relied on the alleged “confessions” of the defendants and circumstantial evidence, stated that the members of this group were involved, among other things, in several shootings at police officers and their property, and that the shootings led to the deaths of at least two officers. The Supreme Court judgment, a copy of which the rights groups reviewed, affirmed the lower court’s ruling and identified the victims as a police officer, Behrouz Taghavi, shot and killed in front of a bank on February 26, 2009, and Habib Jadhani, a conscripted soldier, who was shot and killed in spring 2008. Both the lower court and Supreme Court judgements acknowledge that some of the defendants retracted their confessions at trial saying they were extracted under physical and psychological torture, but refused to acknowledge the validity of those retractions. There is no record of any investigation by either court into the allegations of torture. 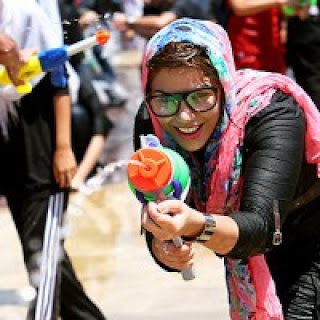 Under articles 183 and 190-91 of Iran’s penal code, anyone found to have used “weapons to cause terror and fear or breach public security and freedom” may be convicted of moharebeh orifsad fil-arz. Punishment for these charges includes execution by hanging. Article 38 of the Iranian Constitution prohibits all forms of torture “for the purpose of obtaining confessions.” The Penal Code also provides for the punishment of officials who torture citizens to obtain confessions. Despite these legal and constitutional guarantees regarding confessions under duress, “confessions” are sometimes broadcast on television even before a trial has concluded and are generally accepted as evidence in Iranian courts. Such broadcasts violate Iran’s fair trial obligations, including the presumption of innocence under article 14 of the International Covenant on Civil and Political Rights (ICCPR), to which it is a state party. Since June 14, the date of the recent presidential and local elections, unofficial and official sources have reported at least 71 executions. In 2012, Iran was one of the world’s foremost executioners, with more than 500 prisoners hanged either in prisons or in public. Ejeei Judiciary spokesperson: Iranian opposition in exile won't have problem in entering the country but can't leave the country !
" Those who had participated in the 2009 sedition and left the country won't have problem for entering the country but may have problem in leaving the country " ,said Gholamhosein Ejeei spokesperson of the Judiciary. He added: " We never ban Iranian from entering the country,but because of crime they have committed, may face charges from the court and won't be able to leave the country. 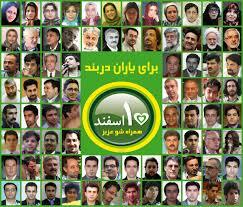 Those Iranian participated in the " sedition" of 2009 ( Participants of Green Movement in 2009 uprising against election fraud) if enter the country ,will be arrested right away.If a political party was banned from activities and its member decide to continue their activities ,their action is illegal and will be prosecuted." Satar Beheshti was arrested by " FETA " police at his home in Robatkarim on October 31,2012 and was transferred to Evin prison in Tehran but to continue the investigation he was transferred back to "FETA" police office where he died. From that date until now the investigator wants to find out whether he died on natural death or not!!!!!!!!!!!!! ? At the end the coroner could not say whether he died of injuries or on natural death.!!!!!!!!!!!!????? Islamic regime in Iran with its destructive and divisive policy ruined everything in Iran including the film industry and film makers! Watch the film - Iranian Film makers united against closure of the " House of Cinema " by ministry of Culture & Guidance. Ministry created a quasi House of Cinema ( House of Cinema #2) and installed Mr. Kaseh Saz as their leader . 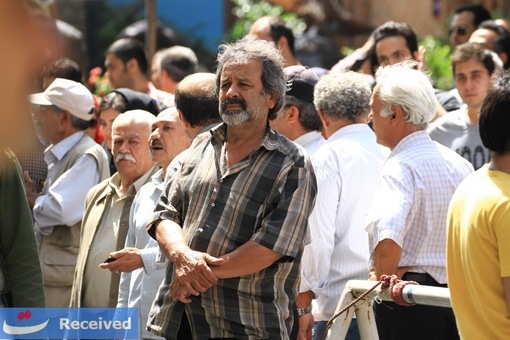 The Iranian independent film maker gathered in front of their house of cinema in protest against the closure. 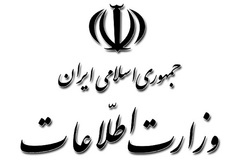 The Islamic Regime in Iran and its ministry known as Ministry of Guidance & Culture together with its " Herasat " members ( Informers- Eyes and Ears of the Ministry of Information in Every Government Ministries and offices) have ruined everything by their policies during these 35 years of ruling in Iran, including the independent Iranian movie industry. 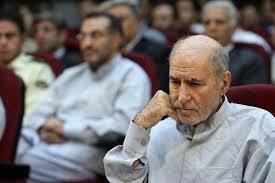 The " Herasat " members of the Ministry of Guidance recently in a move at night closed the " House of Cinema" in Iran. The House of Cinema ,a syndicate of film makers and film players was open for years,but under conservative policy of the Ministry of Guidance, this independent organization was closed like many other independent organization including lawyers association and the office of Human Rights Defenders Association. Iranian Film Makers and film actors are under constant threat ,pressure ,censorship and sometimes arrest and imprisonment like the international award winning film maker Jafar Panahi who is in prison and was banned leaving Iran and banned making film. Now, The Ministry of Guidance created its own " House of Cinema #2" . The members of House of Cinema #2 support Ministry policies and the ministry is using these members against the members of independent film makers the "House of Cinema". After closing the " House of Cinema", the ministry organized members of the " House of Cinema#2" to confiscate the property of the " Hose of Cinema" ,but the independent film makers gathered in front of their House and did not allow the pro ministry film makers to enter into their house. The Experience of "Islamic regime" in Iran not only for Iranian people but for moslem people and countries around the world ,is a great lesson learned and understood , particularly in Iran ,although with great cost ,but must go forward until its regime is brought down by its people ,because this regime has failed by its policies ,the policies which brought division among every sectors of the society ,including Cinema makers. Free These " Dervishes " ! 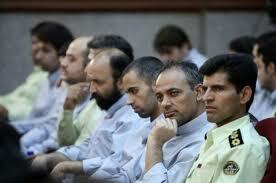 A total of 56 years imprisonment to these "Dervishes !!!??? 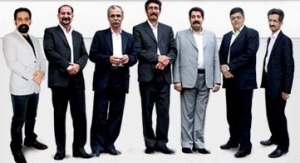 Seven Gonabadi Dervishes are still in prison by Islamic regime in Iran . 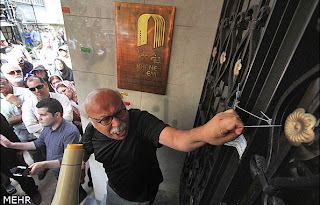 They were sentenced by Judge Salavati from branch number 15 of the court of Revolution. Each to seven and a half years imprisonment. "Looking to find a bigger stone to hit, itself means no hitting at all ." IRAN WATCH CANADA: If you took office , Please order the release of political prisoners which is not a big and long term task . 4 "Arab Ahvazi " ( Iranian Arab from the city of Flahieh -Shadmehr in Ahwaz) political activists are sentenced to death by hanging. Their sentencing were handed to their families.In a letter from Karoon prison these prisoners asked all human rights organizations to help save their lives. Abdolreza Amir KHanafereh - son of Younes- born on 1987- Without any criminal record -Sentenced to death by hanging. Abdolamir Majdami - Son of Houshang- Born on 1980- without any criminal record - Sentenced to death by hanging. Shahab Abasi - Son of Ahmad - Born on 1986- Without any criminal record- Sentenced to death by hanging. Ghazi Abasi - Son of Ahmad - Born on 1982- without any criminal record- Sentenced to death by hanging. A vigil held for Zahra Kazemi on July 30, 2003. CJFE remembers Zahra Kazemi, an Iranian-Canadian photojournalist who died 10 years ago today while on assignment in Iran. She was arrested on June 23, 2003 while taking photographs of a public protest outside a prison near Tehran, and subsequently detained. While in captivity, she suffered head injuries that Iranian authorities attributed to myriad causes before admitting that she had been tortured by her interrogator. She succumbed to her injuries in hospital on July 10, 2003. Zahra Kazemi was posthumously awarded CJFE’s Tara Singh Hayer Memorial Award in 2003. Her son, Stephan Hachemi, is currently appealing to the Supreme Court of Canada for the right to sue the Iranian government for his mother’s death. Ahmed Shaheed UN reporter on Human Rights in Iran is coming to Canada from July 23-28 ! Iranian Canadian Human Rights Association - Toronto in a statement released announced the coming of Ahmed Shaheed to Canada and Toronto. Dr. Ahmed Shaheed will be in Toronto from July 23-28 . Dr, Ahmed Shaheed will be here to further his investigation of human rights violation by Islamic Republic regime in Iran . 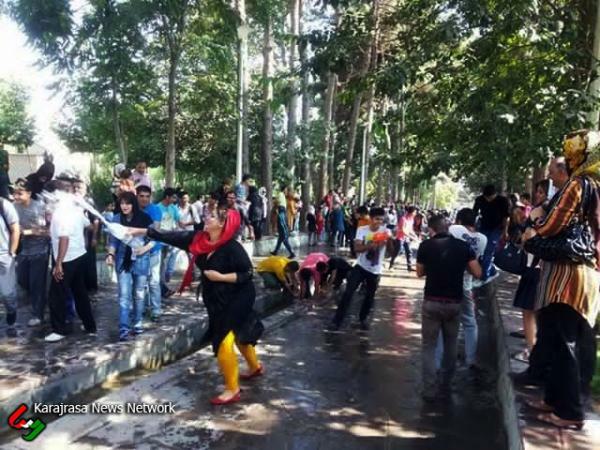 50 young boys & girls are arrested and detained by Islamic authority in Iran on charges of gathering and playing water in a park at summer! Young Boys & Girls , Playing Water in Summer can result you ending up in Jail!!!!!!??????? 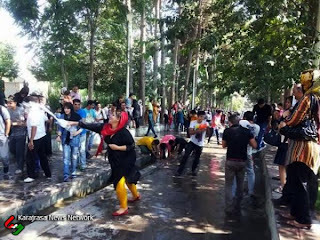 Islamic authority in the city of Karaj arrested 50 young boys and girls on charges of gathering in a park and playing water in a hot summer in Iran. Every year in summer young boys and girls organize event like water playing in park . This year in " Iran Zamin Park" at Azimieh district of Karaj city ,these young boys and girls were playing water when the NAJA police forces arrested 50 of them and detained them in one of their detention facilities . The parents of these detainees started protesting the arrest and remained outside of the detention center up until 12 midnight. This isn't the first time happening ,in the past years Islamic authorities acted same policies against young boys and girls playing water. IRAN WATCH CANADA: Violation of Basic Human Rights , What else can you call it??? Samira Razaghi an Honor Doctor is arrested in the city of Shiraz ! Samira Razaghi an honor doctor from University of Shiraz is arrested on last June 26. At the time of arrest she was in her last month of the University to become specialist. She is a general medical practitioner and Specialist . This student activist has been detained in the past 10 days in Ministry of Information detention of Fars Province known as "Pelake 100 " or number #100. 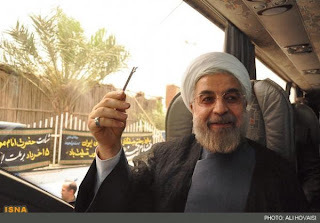 Newly elect president Hasan Rohani during election campaign appeared with a " Key " as his symbol of campaign and he promised his supporter ,he would solve the country's problems with this key. Mr. Hasan Rohani the newly elected president in Iran soon will take office as soon as Ahmadinejad's term end. During the campaign last month ,Mr. Rohani appeared with a " Key " as his campaign symbol. Key he believe will unlock most of the doors . Now ,will Mr. Rohani open the doors of the jails and release political prisoners including lawyers,journalists,writers,bloggers,students activists , labor activists , and those hundreds of protesters arrested during and after green movement protest against Ahmadinejad's coup ?!!! Will Mr. Hasan Rohani unlock the situation of Musavi , Zahra Rahnavard and Karoubi and release them?!!! We will see ,if this key was anything but key to power. Islamic regime in Iran with its prejudice or bias policies against Iranian women ,preventing them from attending the soccer victory gathering in stadium last month. 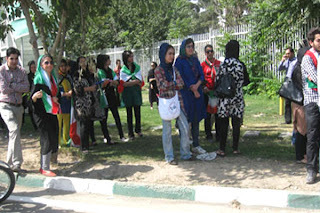 Here are few pictures showing Iranian women gathered behind the door of the stadium and not allowed to enter ! Older Video Clip...... The Return of Mahsa Amrabadi Iranian Journalist and wife of Masoud Bastani also a political prisoner and journalist to prison in 2012. Mahsa Saying Goodbye and going to Jail ,while husband Masoud (At the time out of jail for a short period ) is with her . 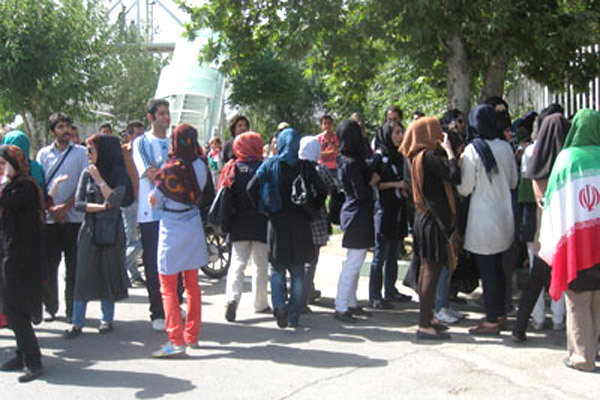 On Just 14 days 44 Iranian most of them young were sent to the gallows in public or inside prisons in different parts of Iran. The tragedy is that, many Iranian are drawn by regime judiciary official to these public hangings and sometimes parents take their children to these stages and judiciary official think ,public hanging will bring fear among Iranian and eventually it will decrease the crimes from society . Most of those sent to the gallows in public hanging are convicted to drug charges , sexual assaults and murder and are young including teenage boys or few girls. In the past the judiciary official had announced that, they would stop public hanging - but it is continued anyway. 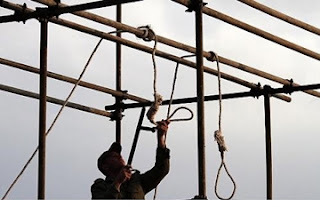 Organizing the public against these barbaric actions of public hanging could result a major anti regime and judiciary movement in Iran and will force regime to back off from these barbaric actions. Civil rights or human rights group including cultural and social group must start mobilizing public when New president Rohani took the office. 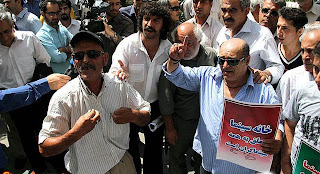 (Beirut, July 4, 2013) – The hospitalization of a detained opposition figure and the death of an imprisoned labor rights activist highlight the problems that prisoners in Iran face in accessing adequate medical care and regular visits, Human Rights Watch said today. On July 2, 2013, security forces took Mir Hossein Mousavi, a 2009 presidential candidate, from house arrest to a Tehran hospital, where doctors treated him for complications related to his blood pressure. Security forces have prevented Mousavi from receiving the regular medical checks doctors had recommended for a serious heart ailment. Mousavi’s transfer to a hospital came less than two weeks after the sudden death of a 42-year-old trade union activist, Afshin Osanlou, who was serving a five-year sentence at a prison near Tehran. Authorities say he died from a heart attack. Families and associates of other detainees serving time on politically motivated charges have said that authorities have denied them access to medical care or regular family visits, deepening their isolation and increasing fears for their safety and well-being. A source familiar with Mousavi’s medical case told Human Rights Watch that his blood pressure fluctuates erratically due to his heart ailment. The source said that security forces have not permitted him to receive medical check-ups at least every 50 days, as doctors recommended, and prevented him from remaining in the hospital during the latest visit for medical tests. He suffers from a blocked artery and underwent angioplasty in 2011. The authorities detained Mousavi that year, along with his wife, Zahra Rahnavard, and another prominent 2009 presidential candidate, Mehdi Karroubi. All three have been under house arrest orders since then without charge or trial. The two men had called for peaceful protests in Iran in support of the Arab uprisings in Egypt and Tunisia. During their house arrest both Mousavi and Karroubi have repeatedly complained that security forces prevent them from receiving regular visits from their family members. There is growing concern for another detainee, Arash Sadeghi, 26, a student activist believed to be in the fifth week of a hunger strike and held in solitary confinement in Ward 209, the section of Evin Prison controlled by Iran’s Intelligence Ministry. Prison authorities have refused to provide any information about him in recent weeks, an informed source told Human Rights Watch. The daughter of Mohammad-Reza Pourshajari, a blogger imprisoned for four years on speech-related charges, has told Human Rights Watch that authorities have refused to allow him temporary leave from prison for needed treatment for a serious heart condition. Osanlou’s family learned on June 22 of his death at Rajai Shahr Prison in the city of Karaj, 25 kilometers from Tehran. His elder brother, Mansour Osanlou, told Human Rights Watch that he died on June 20, apparently after suffering a heart attack in prison, although prison officials insist he had been taken to a hospital before the heart attack. Osanlou’s sister, Fereshteh, said the authorities did not immediately inform the family of his death, only confirming it after the family asked about him and his whereabouts on June 22. She said medical staff told her it may take up to three months to fully determine her brother’s cause of death. “The Iranian authorities should urgently investigate Afshin Osanlou’s death and determine whether it occurred from natural causes or was brought on by prison conditions or any form of mistreatment,” Stork said. 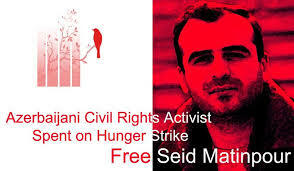 Authorities arrested Sadeghi on January 15, 2012, and have mostly held him in solitary confinement and prevented his family from visiting him regularly, an informed source told Human Rights Watch. The source said that Sadeghi began a hunger strike on June 1, after prison guards abused him, and that prison officials have refused to give either his family or his lawyer information about his condition. Sadeghi was a graduate student at Tehran’s Allameh Tabatabai University who supported Mousavi’s presidential campaign in 2009. He had been arrested several times since the mass protests that followed the disputed 2009 election. On October 30, 2010, his mother suffered a fatal heart attack when officials raided the family home in Tehran while searching for Sadeghi. 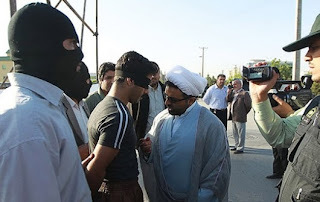 He escaped arrest then but subsequently surrendered to authorities, who held him for about a year in Ward 209 of Evin Prison and then released him on December 15, 2011. According to reports by rights groups, Intelligence Ministry officials tortured and ill-treated him in prison, severely damaging his right shoulder. Authorities arrested Sadeghi again on January 15, 2012, after Branch 26 of Tehran’s Revolutionary Court had convicted him on charges of “collusion against national security” and “propaganda against the state” and sentenced him to six years in prison. The sentence was reduced to five years on appeal, four of which were suspended. The reasons why authorities continue to hold him are not entirely clear. Pourshajari, 53, a blogger known also by his pen name Siamak Mehr, has been refused access to necessary medical treatment since he suffered a serious heart attack in prison in October 2012, his daughter, Mitra, told Human Rights Watch. She said that authorities at Ghezel Hesar Prison in Karaj have prevented doctors from performing an angiogram requested by prison doctors and have refused to approve his temporary absence from prison if he should need treatment to unblock his arteries. She said prison authorities transferred her father to a local hospital in March when he experienced breathing difficulties and dizziness, but quickly returned him to the prison infirmary. She said her father also suffers from gallstones and an enlarged prostate. In a June 10 audio recording obtained by Human Rights Watch, a voice identified as Pourshajari’s says that authorities beat and tortured him and threatened to hang him after forcing him to stand on a four-legged stool during his initial detention following his arrest on September 12, 2010. He also says that authorities held him in solitary confinement for eight consecutive months and that interrogators repeatedly threatened to send him to the gallows. In 2010, Branch 109 of the Revolutionary Court in Alborz convicted Pourshajari on charges of “acting against the national security” and “insulting Ayatollah Khomeini” for writings posted on his personal blog and sentenced him to three years in prison. In December 2011, the court also convicted him of “insulting [religious] sanctities” and added another year to his sentence. For background information, please see below. Security forces arrested Afshin Osanlou, a member of the Syndicate of Workers of Tehran and Suburbs Bus Company, an independent labor union increasingly targeted by the authorities, in November 2010. In a letter that he allegedly authored in August 2012 and smuggled out of prison, Osanlou said that authorities transferred him to Ward 209 of Evin prison and a detention facility run by the Intelligence Ministry in the northwest city of Sanandaj after his arrest. There, he said, they placed him in solitary confinement and tortured him, including by lashing him on the soles of his feet, over a period of five months. In 2011, Branch 15 of Tehran’s Revolutionary Court sentenced him to five years’ imprisonment after a trial lasting no more than “several minutes” but enough for the court to convict him on national security-related charges related to his union activities. He was due for release from prison early next year. Authorities released Afshin Osanlou’s elder brother, Mansour Osanlou, former president of the Syndicate of Workers of Tehran and Suburbs Bus Company, in June 2011 after imprisoning him also for his peaceful union-related activities. Security forces arrested Mansour Osanlou near his home on July 10, 2007, and a Revolutionary Court later sentenced him to five years in prison on charges of “acting against national security” and “propaganda against the regime.” Following his release from prison, he left Iran after receiving death threats. He told Human Rights Watch that he fears the authorities may have targeted his brother in order to “settle the score” with him and delegitimize the lawful efforts of the Syndicate of Workers of Tehran and Suburbs Bus Company to promote workers’ rights. Since 2009, Human Rights Watch has documented numerous cases of torture, ill-treatment, or medical neglect of detainees, in some cases resulting in prisoners’ deaths. Hoda Saber, for example, a journalist and political activist who was serving a prison sentence in Ward 350 of Evin Prison, died at a Tehran hospital on June 10, 2011, after going on hunger strike to protest the death of another political activist who died after security forces attacked her as she attended her father’s funeral. Prison officials transferred Saber to Evin Prison’s infirmary when he experienced chest and stomach pains on the eighth day of his hunger strike. There, according to the International Campaign for Human Rights in Iran, he was beaten severely and authorities later failed to move him to a hospital quickly when he suffered a heart attack that proved fatal. Human Rights Watch has repeatedly called on Iran’s judiciary and prison authorities to allow political prisoners to receive regular family visits and access to the medical treatment that they need. In 2012, Human Rights Watch urged the authorities to allow rights defender Mohammad Sadigh Kaboudvand access to medical care, to end the incommunicado detention and solitary confinement of journalist Bahman Ahamdi Amoui, and to permit Javid Houtan Kiyan (Houtan Kian), serving an 11-year sentence on national security charges, access to both family visits and treatment for a serious digestive illness. Both international law and Iranian national law require that prison authorities afford adequate medical care to all those in their custody. Iran’s State Prison Organization regulations also provide that prison inmates be transferred to hospital outside the prison facility, when necessary. The United Nations Standard Minimum Rules for the Treatment of Prisoners require that authorities transfer all those held needing specialist treatment to specialized institutions, including civilian hospitals. International law and Iranian national law also require prison authorities to provide all prisoners with basic necessities, to allow them regular family and other visits, and to treat them with dignity and respect. The International Covenant on Civil and Political Rights, to which Iran is a state party, prohibits torture and other cruel, inhuman, or degrading treatment or punishment. 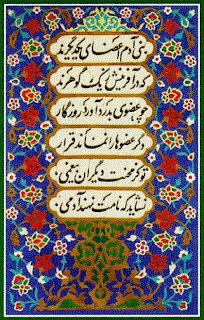 and culture opened the eyes of the Iranian moslems and the world . When Irania ousted the Shah in 1978-79- they ended dictatorship for freedom - democracy and justice - they are facing the same agenda today and the past two major uprising during this regime - each ten years apart - showed the people want to end this islamic regime with a democratic one. 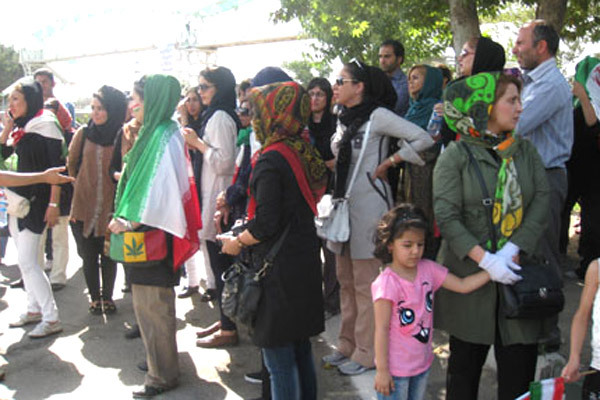 The Islamic regime in Iran is the number one enemy of open society and womens rights.Women in this kind of regime are deprived from their basic human rights for example : What kind of dress they must wear daily . All of these kinds of experience is before the eyes of Egyptians and all moslems in Middle East and elsewhere in the world. 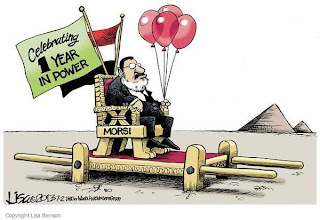 Islam must stay away from political power . 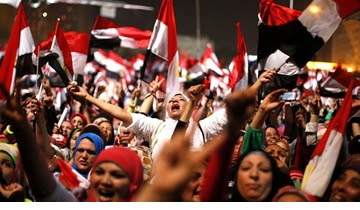 Egyptian people decided not to go through the experience of Iranian people and not to experience the experience and this is good. People in the middle east must continue their way out of these current undemocratic regimes and bring changes in their society and countries.